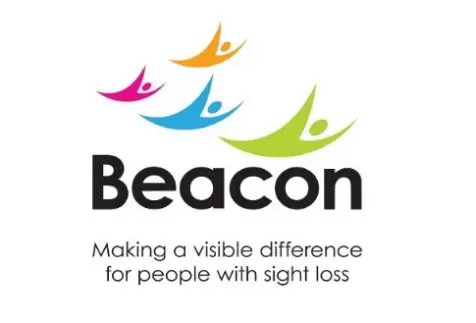 Leading sight loss charity Beacon has confirmed it will take over the day to day management of the Hanley Resource Centre, on Albion Street in Stoke-on-Trent which supports visually impaired people. Beacon will be refurbishing the Centre during the first two weeks of April meaning it will temporarily close from 1st – 15th April. A relaunch party will follow soon after at the end of the month to celebrate. The charity will also be inviting members of the region’s visually impaired communities to a series of engagement events over the coming months to share its vision for services in Staffordshire and Stoke-On-Trent, as well as gather views and information direct from the people who will be using them. The sessions will discuss ideas around the creation of a dedicated hub for visually impaired people to act as a shared resource with partner organisations, the best ways Beacon can reach even more people in the community as well as existing and potential new services. Stephen Terry, Beacon’s Regional Manager, said; “We know that the services offered at the Resource Centre are vitally important for the local visually impaired community. But we are also aware that there is scope for improvement and a need for further understanding of what the specific wishes are for those living with sight loss in the region. Beacon CEO, Lisa Cowley, added: “Ultimately, we want to create a society where individuals value and protect their sight, and where visual impairment does not limit or determine opportunity. We have a rich heritage of supporting people living with sight loss in the Black Country, and we will bring this wealth of experience to Staffordshire.